A public comprehensive university, Mississippi State University (MSU) provides opportunities for academic study at the baccalaureate, master’s, and doctoral levels plus research and service functions appropriate to its role as a land-grant school accredited by the Commission on Colleges of the Southern Association of Colleges and Schools. 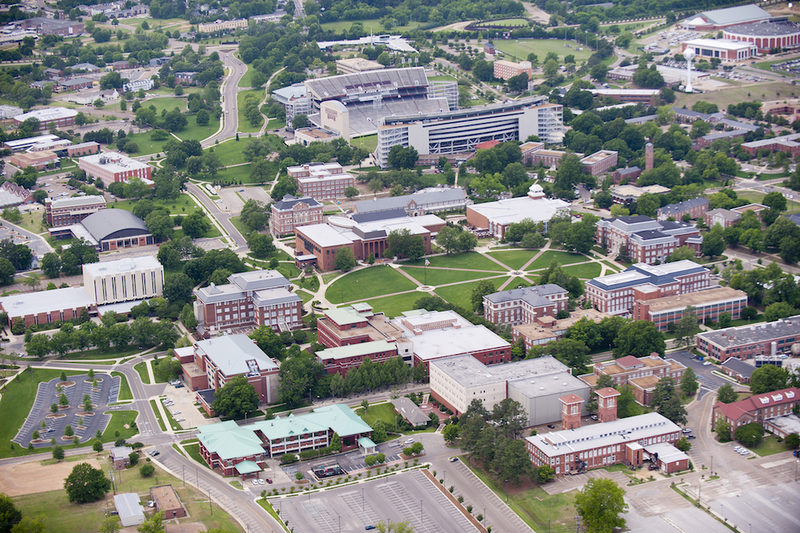 The university’s main campus is located east of and adjacent to the city of Starkville. 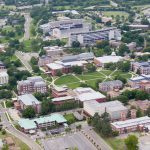 The primary academic area covers eight hundred acres, and together with the agricultural research farms, MSU comprises a total of forty-two hundred contiguous acres. A branch campus in the city of Meridian is located on a twenty-six-acre campus. 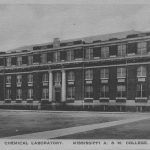 For its first fifty years, the college functioned as an all-white and all-male military school, though a few local female students were allowed to register prior to 1912. Students were required to wear military uniforms at all times, from registration in the fall until the end of the academic year in May. The school initially offered only two programs of study, the Agricultural Course and the Mechanical Course, with supporting classes in mathematics, biological and physical sciences, English, and the humanities required of all students. 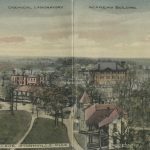 In 1902 a more formalized academic program emerged with the creation of the School of Engineering, School of Agriculture, and Science School. The School of Business and Industry was organized in 1915, and the School of Education followed in 1934. 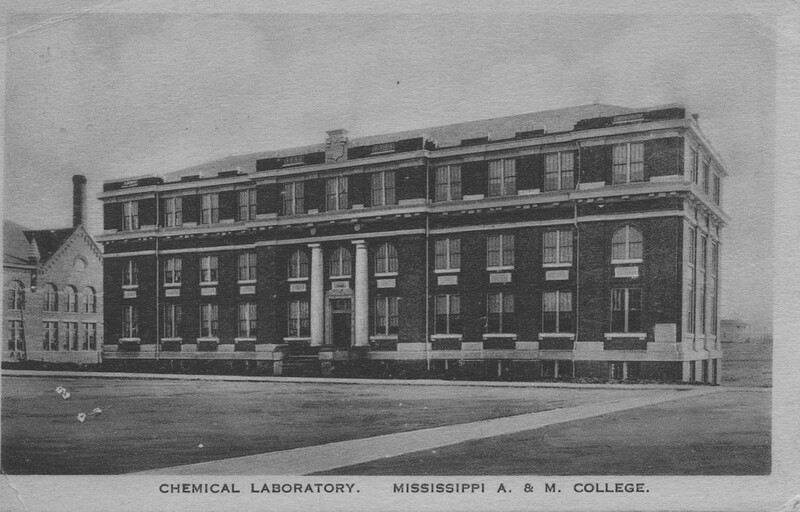 In 1932 the college’s name changed to Mississippi State College, and in 1957 it became Mississippi State University. The College of Arts and Sciences emerged in 1957, the College of Architecture in 1973, and the College of Veterinary Medicine in 1974. The School of Forestry became the College of Forest Resources in 1990. In the twenty-first century the university consists of the College of Agriculture and Life Sciences, including the School of Human Sciences; the College of Architecture, Art, and Design; the College of Arts and Sciences; the College of Business, including the Adkerson School of Accountancy; the College of Education; the Bagley College of Engineering, including the Swalm School of Chemical Engineering; the College of Forest Resources; the Office of the Graduate School; and the College of Veterinary Medicine. The university offers more than 175 programs leading to a baccalaureate, master’s, or doctoral degree. MSU’s Meridian Campus is a regional upper-division campus offering bachelor’s and graduate degrees, while graduate centers in Vicksburg and at the Center of Higher Learning at the Stennis Space Center offer master’s degrees in engineering. Mississippi State began admitting African Americans in 1965, when Starkville’s Richard Holmes transferred in after spending two years at a Texas college. Although Holmes lived alone in a two-bed dorm room and endured some harassment by white students, his enrollment did not provoke the violent reaction that greeted James Meredith’s matriculation at the University of Mississippi or the police abuse that resulted when Clyde Kennard attempted to enroll at the University of Southern Mississippi. By the fall of 2015 MSU’s enrollment had reached 20,873, including 17,421 undergraduates. That number is nearly evenly divided between women (49 percent) and men (51 percent). A total of 71 percent of undergraduates are white, 21 percent are African American, and 2 percent are Hispanic. Mississippi is home to 71 percent of undergraduates, with 28 percent coming from other parts of the United States and 1 percent coming from other countries. Among the many alumni of note are authors John Grisham and Lewis Nordan, business leaders Fred Carl and Hartley Peavey, political figures John Stennis and Sonny Montgomery, basketball stars Bailey Howell and LaToya Thomas, and baseball stars Rafael Palmeiro and Will Clark. MSU faculty members conduct organized research in thirty-five research centers, institutes, or laboratories on campus plus a small research unit at the Stennis Space Center. The Mississippi Agriculture and Forestry Experiment Station conducts extensive research in all areas of agriculture on campus as well as at seventeen branch stations located across the state. MSU broadened its focus beyond organized agricultural research in 1949 with the Raspet Flight Research Laboratory and the Social Science Research Center. As at many research institutions, MSU’s grant- and contract-sponsored research mushroomed during the 1970s and 1980s, primarily in engineering but also in biology, education, and business. In 1989 the National Science Foundation established an Engineering Center of Excellence at Mississippi State, building on the university’s expertise in computational fluid dynamics and numerical grid generation. In 2015 the Federal Aviation Administration selected a team headed by MSU to create a new Center of Excellence for Unmanned Aircraft Systems, making the school a leader in drone-related research. The Mississippi State University Extension Service (formerly the Mississippi Cooperative Extension Service) is headquartered on campus and maintains county offices staffed by county agents and home agents, bringing campus research to the local level throughout the state.